Until now the FPV experience was complex and very expensive, only really achievable with serious endeavour, time and dedication. Hubsan's new Skyhawk FPV does all the hard work for you and provides a completely ready-to-fly package than can have you up and flying in a matter of no time. Simply glue on the tail-pieces, charge the battery and take off! Made from sturdy crash resistant foam it features a built in stabilisation system making it a perfect choice for the beginners and/or experienced flyers. 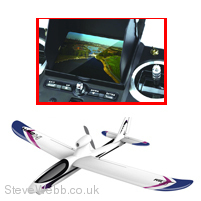 Once airborne you can view the world from above via the front mounted 5-mega pixel camera that shoots live video directly to a 3.5" LCD monitor on the transmitter…in colour. 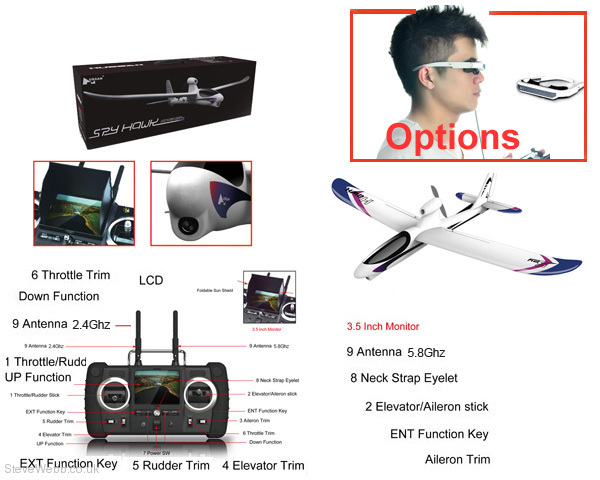 Built in 5.8GHz FPV System w/Recording Module & 4GB SD card.